BLACK FRIDAY: LOVE IT OR HATE IT . Black Friday marks the start of the festive shopping season for consumers. Long gone are the days of customers holding out for the Boxing Day sales, queuing outside Next at 5.30 in the morning to grab the bargains. Imported from our friends across the pond, Black Friday is still a relatively new phenomena in the UK, but is something consumers have embraced wholeheartedly. In this post I’ll take a look at how it’s shaping and changing the way we shop and if it’s impacting the high street and small brands alike. SO WHAT IS BLACK FRIDAY? . Black Friday started as a one day event in America, the day after Thanksgiving used to entice shoppers into stores at the start of the holiday season. Retailers would heavily discount ranges to encourage frenzied shoppers to increase their basket size and shop with them. What started as a one day event has now escalated into a full 4 day weekend extravaganza ending on Cyber Monday, increasing deals aimed at their online audience. The UK adopted Black Friday back in 2010 when Amazon decided to extend their offers from the US to the UK which went relatively unnoticed. In 2013, ASDA (owned by American company Walmart) decided to offer their own Black Friday event, we all remember the national news coverage of frenzied scuffles and stampedes with Police being called to calm everyone down. As a result, we’ve seen a shift in how brands and retailers approach Black Friday, it’s now an event which covers the entire week. Over the years, Black Friday has continued to grow and we are now seeing a wide range of approaches brands and retailers are taking to participate in the event. 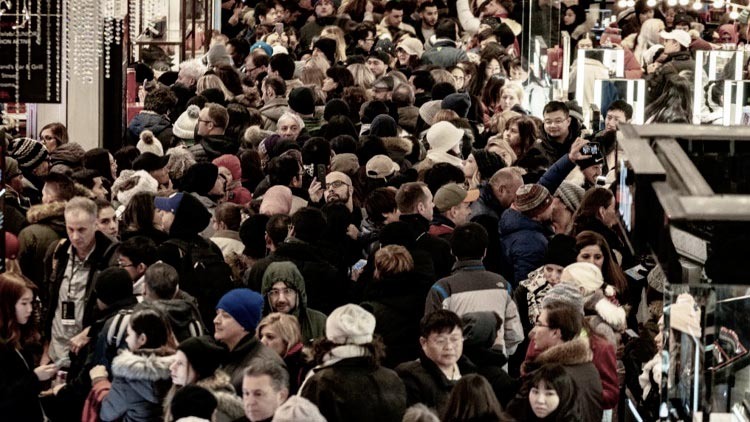 HOW ARE BIG RETAILERS AND SMALLER BRANDS APPROACHING BLACK FRIDAY? . The way brands approach Black Friday has changed a lot over the years. Historically there has been issues in the past with websites crashing and stores becoming unruly, all of which led to poor customer satisfaction, which has seen a move away from the one day extravaganza to a full week of ‘mini discounts’ and ‘soft launches’ running up to the full sale on the day. Instagram stories have been packed with mini flash sales, daily updates and changes to the events, keeping customers on their toes and fully engaged. Customers are able to trawl the internet and shop the best deals and discounts ahead of the day and can benefit from the week long discounts. But what does this mean for the market, and how is it affecting our shopping culture? Increased traffic and revenue - there’s no denying Black Friday results in a huge spike in sales, many retailers have stated “November is the new December” in terms of trading spikes. Increased brand interaction - with instagram and social media playing such a huge role in driving sales, brands are able to interact with their customers and increase engagement, building brand relations. Customers like to feel like they are a part of something, and having increased interaction really builds trust. Opportunity to clear stock before Christmas - rather than being left with stock later in the selling season and putting items into clearance. Customer Acquisition - Black Friday is a great opportunity to not just give existing customers great deals but entice new customers to shop with you. Easier pre Christmas fulfilment - for customers shopping Black Friday for the festive season, means less pressure for gifts to arrive before Christmas. Although many brands work over time to fulfil the surge in orders from Black Friday, it eases pressures of the ‘guaranteed pre-Christmas delivery’ period. Encouragement of discounting culture - there is a noticeable shift in consumer buying habits, where customers now expect heavy discounting before Christmas and indeed throughout the year. Damaging for small brands and independents - larger high street retailers generally work to higher margins and are able to build markdown into their margins. For small brands and independent stores this is much harder and as a result their profit margins decrease significantly. Saturation of brand value - many smaller brands rarely offer discount, favouring a shift in consumer mindset, adding value to their brand by not marking their prices down, so events like Black Friday where markdown is essential can be seen as devaluing a brand. Christopher Raeburn commented on his social media, “we don't want to put our items on sale; we believe we provide good value and we'd prefer to act in a responsible way”. Pressure of having to be seen to be participating - with increased expectation for discounting from the consumer, brands risk losing sales and customers by not participating. 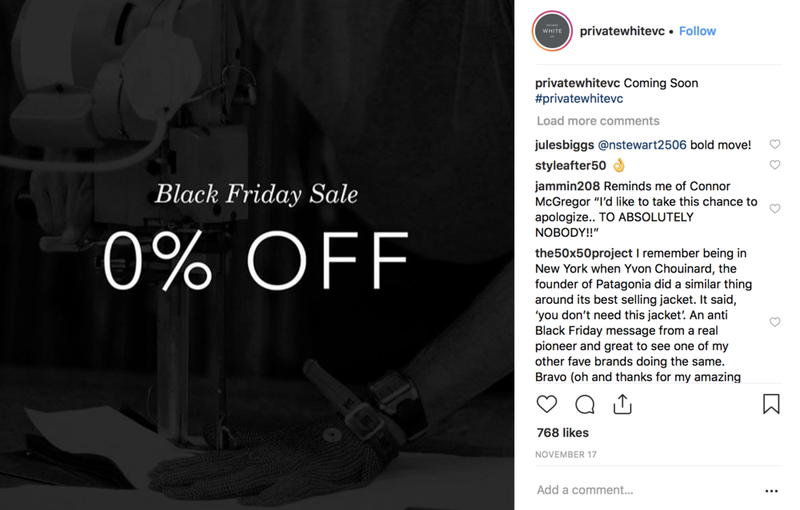 Some brands are approaching Black Friday in a different way such as offering free delivery instead of discounting or donating money to charity in place of discounts. Some even boycott Black Friday altogether and in fact close their online stores. Overconsumption - Black Friday is infamous for creating shopping frenzies, and as we find ourselves in a consumer culture, Black Friday feeds the desire for the acquisition of more things, simply by the offers available, customers are encouraged to buy more, rather than buy consciously and out of necessity. I’d love to hear your thoughts on Black Friday, leave a comment below with any thoughts you would like to share. Newer PostTOP TIPS: POINTS NOT TO MISS WHEN STARTING OUT . Older PostMary Portas: Work Like a Woman - a radical manifesto for change .